Powered by either a 2 litre petrol engine or petrol/electric hybrid both equally as impressive. The 2 litre turbo charged petrol version combined with 6 speed automatic gearbox produces 235bhp to pull the SUV to 62mph in just 7.1 seconds. The hybrid models reach 62mph in just 9.3 seconds and provides fuel return of up to 56.5mph. The interior is of a funky nature with supportive seats. There’s a typical Lexus feel throughout. The petrol and hybrid models each come in a variety of trims to further improve the feel. Boot space is 475 litres so more then enough for the sports equipment. Standard equipment includes 17-inch alloy wheels, DAB radio, touchscreen control, dual zone climate control, cruise control, Bluetooth and LED daytime lights. 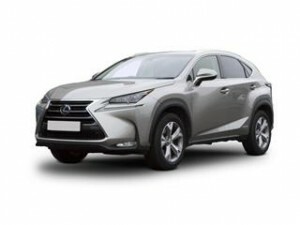 Coast2Coast Cars make it as much fun to buy the new Lexus NX as it is to drive and own. We have network of Lexus dealers who all have options that could save you hundreds or possibly thousands of pounds when you are seeking to purchase a new Lexus. It takes just a few minutes to get your quote prices and with no obligation you have nothing to lose and everything to gain. Lexus also offer specialist finance too to help you purchase your new car.